I’ve mentioned Sunworks Organic Farm in the past in my post about where to get good quality meat in and around Edmonton. To me, they have been the gold standard of organic, humanely obtained meat. 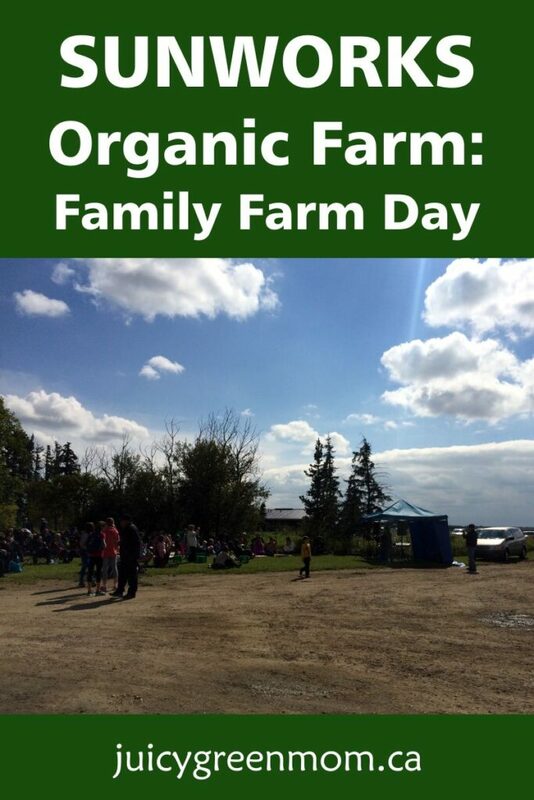 Ron and Sheila Hamilton have been inviting customers to an annual family farm day around Labour Day weekend for many years now, and this year I finally got to go! Ron and Sheila put on a barbecue lunch for everyone in attendance with delicious smoked chicken wings that were seasoned with salt and pepper (and absolutely nothing else!). They really emphasized that they strive to make clean food with no additives – and they started the farm so that their kids (who were experiencing many allergies to different ingredients) could have good clean food. Their farm has been certified organic since 1993, so they have been doing this for a long time! They now have their own chicken processing plant on the farm, which is certified humane. They have spot audits for organic certification as well as from the SPCA. 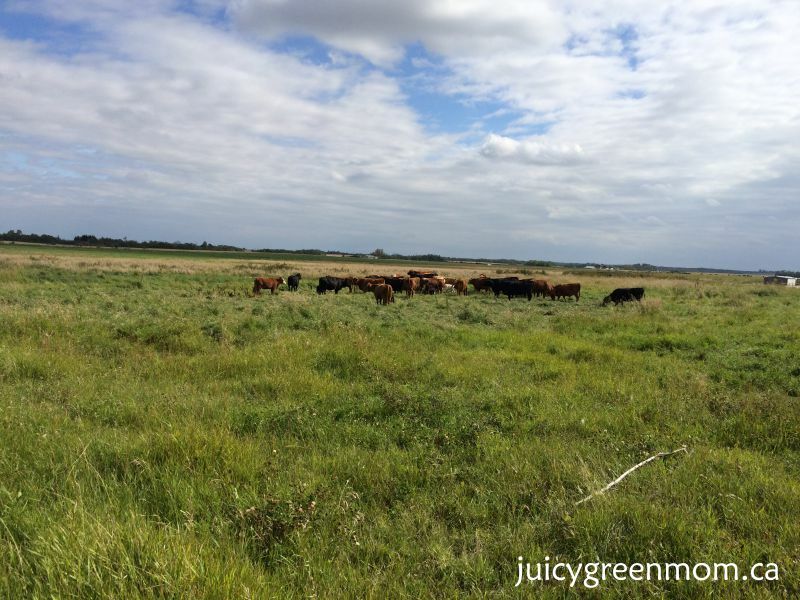 What they do is grassland farming with no crops, and they raise their animals on the land. They raise chickens year-round, so in the winter, they are raised indoors. I got to see what the chicken enclosures look like, and they move the enclosures around so that they always have access to grass. 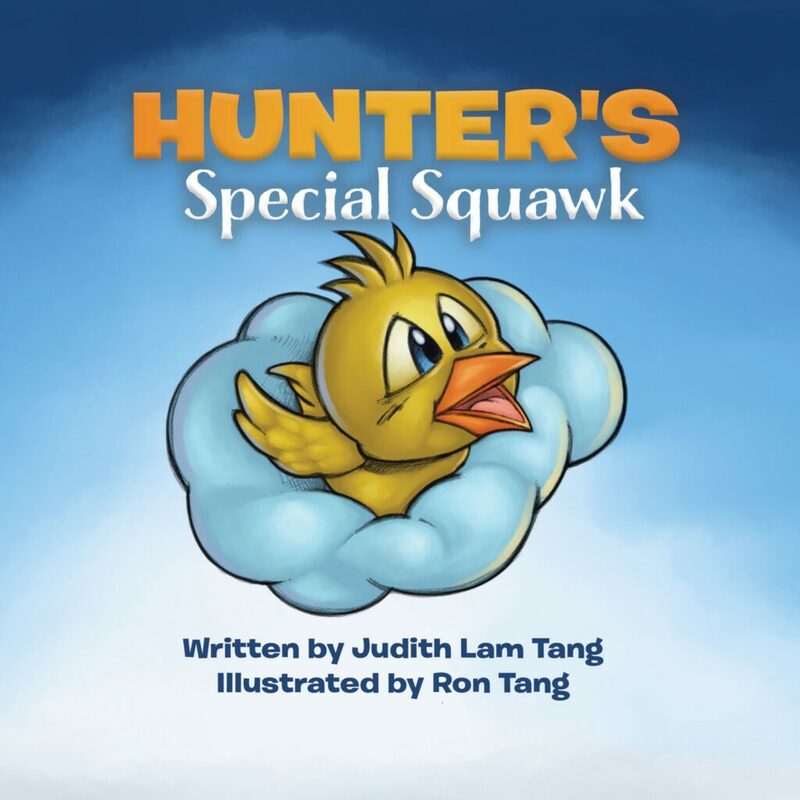 The reason they don’t have chickens running around in the open air all the time is because of airborne predators like hawks and ravens that will eat the chickens. It’s also a predator friendly farm – they don’t kill coyotes and badgers and other predators, they coexist with them. They have had a family of coyotes on their land for as long as they’ve owned it. Electric netting around the chicken shelters keeps the coyotes from eating the chickens, and the coyotes have learned to stay away from them. The water used on the farm is from their own wells, ponds, or run off from their land, so it is not contaminated with pesticides from other farmers’ property. 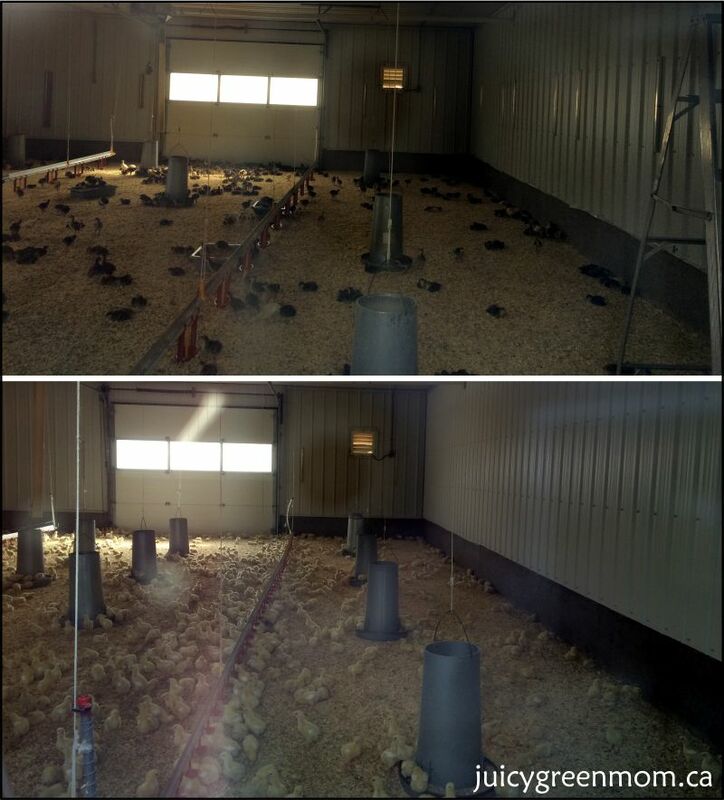 When raising chicks, they never use medicated chick starter, they have warm insulated buildings for them. 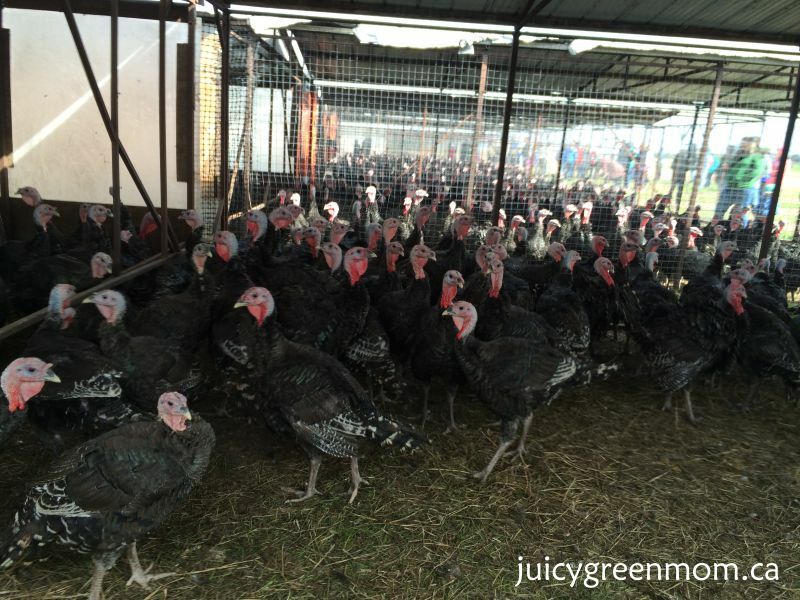 This year they raised some geese and ducks as well as turkeys and chickens. The farm now has about 50 employees. I didn’t get to stay for the entire farm tour (cranky daughter), but what I saw was beautiful. Big open spaces, lots of grass for the animals, and most of all – farmers who know what they’re doing and are completely transparent about their practices. I really appreciate that I can see Ron and Sheila at the farmers markets every week, and they’re always willing to answer questions and talk about what they do. You’ll always see Ron frying up some of their famous chicken sausages (if you haven’t tried them, you need to. Seriously.). I’m really glad I had the opportunity to visit Sunworks Organic Farm, and see for myself that they really are doing everything right. It’s really encouraging to see a local farm doing such great work and providing our community with clean healthy food. 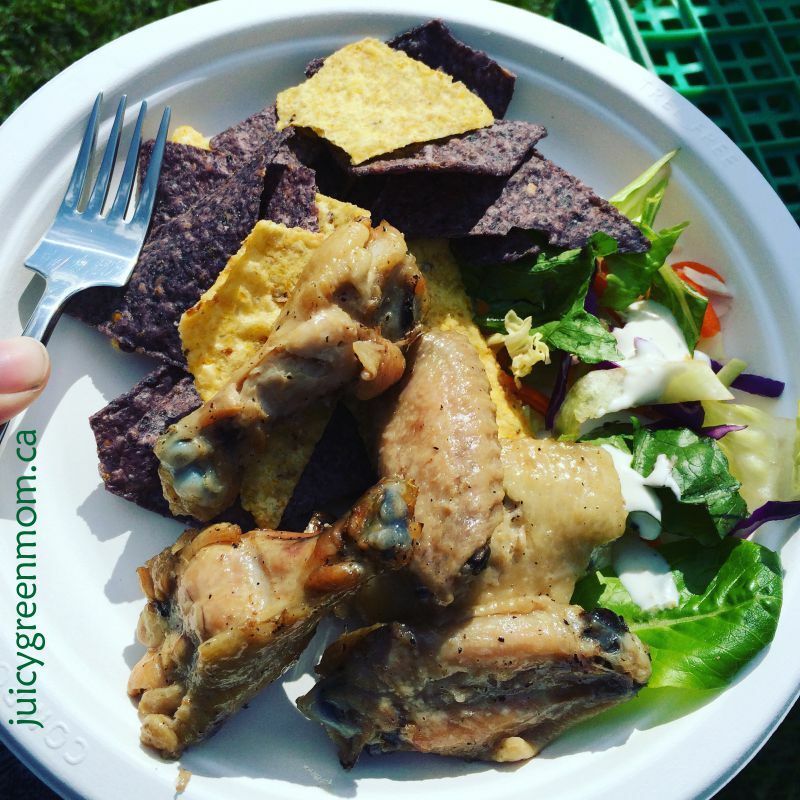 What’s your favourite product from Sunworks Organic Farm?